Host your own virtual marriage conference with The Marriage You’ve Always Wanted Small Group or Event Experience from New York Times bestselling author Dr. Gary Chapman. These revised and updated editions of Dr. Chapman’s popular marriage conference series was recorded in full HD in-front of a sold out audience at Wheaton Bible Church. With over forty years experience as an author, speaker, pastor and counselor, Dr. Gary Chapman has been leading and teaching couples with his trademark warmth and humor. 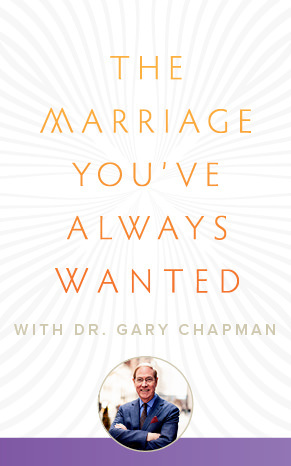 These experiences feature five sections of content as Dr. Chapman walks viewers through the steps to achieving the marriage they’ve always wanted. Other items provided in the Event Experience include a participant guide, The Marriage You’ve Always Wanted Book as well as instructions and tips on hosting your own marriage event. The Small Group Experience features the same 5 lessons, outlined in a provided leader and participant guide, along with video clips to enhance and support each segment. Daily devotionals for couples are also included. A collection of downloadable resources to help you market your event. Already hosted an event? Please take our quick survey. Happiness in marriage is not automatic. You can experience true unity, emotionally and practically by taking the first steps towards the marriage you’ve always wanted. Designed & Developed by LaCroix Design Co.